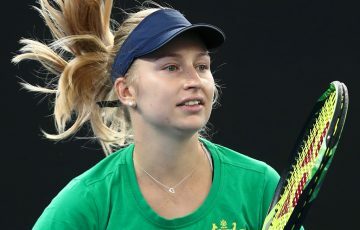 Top seeds Serbia subdued a rampant Aussie team in a live mixed doubles thriller before a record crowd at Perth Arena on Wednesday night. 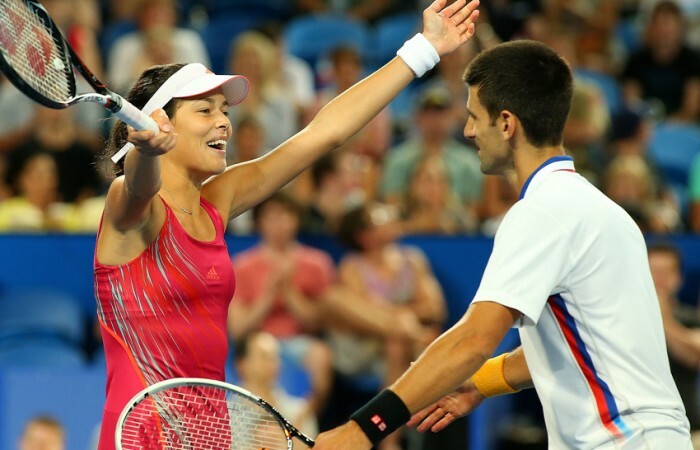 The top-seeded Serbian pairing of Ana Ivanovic and Novak Djokovic overhauled a rampant Australian team to clinch a 6-4 6-7(8) [10-6] mixed doubles thriller in front of a capacity crowd of more than 13,500 – a record for a tennis event in Western Australia – at Perth Arena on Wednesday night. Australia got off to the best possible start in the tie, Bernard Tomic stunning world No.1 Novak Djokovic 6-4 6-4 with a masterful display of cat-and-mouse tennis. Ana Ivanovic levelled the contest for Serbia, her serve and forehand firing in the 6-2 6-3 win over 16-year-old Ashleigh Barty. 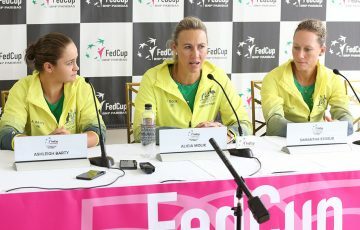 “I played a good match tonight and I’m really happy I managed to play a higher level than I did in the first match,” said Ivanovic of her performance. 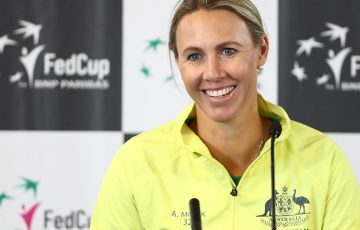 The Australian pairing showed flashes of pure brilliance in the mixed doubles, coming back from match point down to clinch the second set in a tiebreak. They took their experienced opponents to the brink in a world class deciding super tiebreak but ultimately the Hopman Cup-honed Serbian duo ran out the winners, 10 points to six.